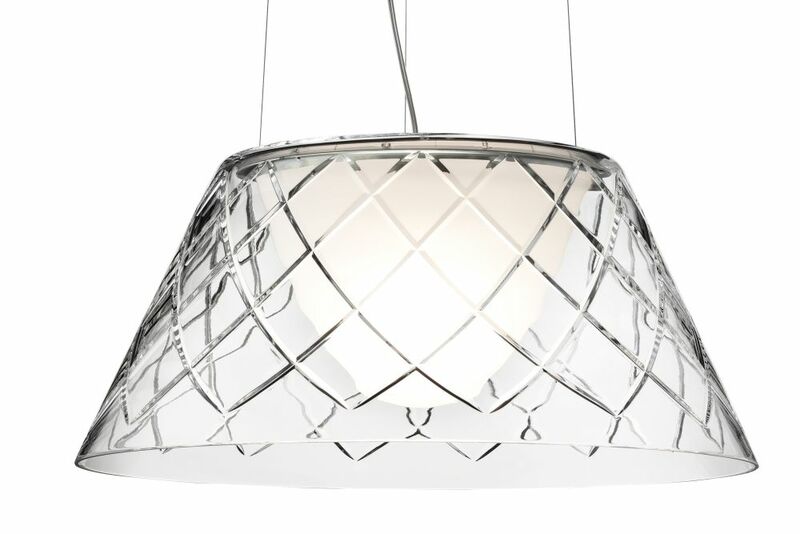 Beautiful suspension lamp providing diffused light. The lamps from the Romeo collection include: opaline, injection-molded transparent PC (polycarbonate) diffuser, vacuum-aluminized insideinternal diffuser and injection-molded transparent polycarbonate external diffuser completely finished with high-vacuum aluminization Grey painted die-cast aluminum diffuser support. The thousands of projects - complete or forthcoming - his global fame and tireless protean inventiveness should never distract from Philippe Starck’s fundamental vision: Creation, whatever form it takes, must improve the lives of as many people as possible. Starck vehemently believes this poetic and political duty, rebellious and benevolent, pragmatic and subversive, should be shared by everyone and he sums it up with the humour that has set him apart from the very beginning: "No one has to be a genius, but everyone has to participate." From the everyday products, furniture and lemon squeezers, to revolutionary mega yachts, hotels that stimulate the senses, phantasmagorical venues and individual wind turbines, he never stops pushing the limits and criteria of contemporary design. His dreams are solutions, solutions so vital that he was the first French man to be invited to the TED conferences (Technology, Entertainment & Design) alongside renowned participants including Bill Clinton and Richard Branson. Inventor, creator, architect, designer, artistic director, Philippe Starck is certainly all of the above, but more than anything else he is an honest man directly descended from the Renaissance artists.